Many ambitious individuals dream of inventing a product or service that will make them millions. After all, many companies like Inuit stock and Apple stock started out as ideas for a single product. However, this can be a difficult feat for most budding entrepreneurs. Whether you are unable to come up with an idea, unsure of how to get it off the ground or simply stuck on figuring out how to invent something, we have the answers for you. Below you will find everything you need to know about how to invent something. Those of you who have trouble coming up with an idea may scoff at this step. However, brainstorming is essential to finding the right idea for you to make a reality. This is also true for all good small business ideas. If you are at a loss for inventions, try thinking about the ways in which your day-to-day life could be improved. Are you always losing the TV remote? Does your toothpaste always make a mess in the bathroom sink? Could your car use some extra cup-holders from time to time? Ideas can often come from these little everyday tasks. Once you identify a need, you can begin brainstorming how to fill it. You might consider filling the demand with home based business ideas. Write down a list of your best ideas and give yourself time to consider each of them. Whether it takes you weeks to complete the brainstorming process or a few hours, you will be well on your way to bringing your ideas to life. Although you are here to learn how to invent something, you must also learn how to research things. This is the same for customer research or overall marketing research. Before you can go on turning your dream idea into a reality, you must first make sure that it has not already been done. Research is a key element to the invention process. Take some time to look into your product idea. Are collapsible cup-holders already a thing? Is there a remote finder already on the market? If you find that someone has already come up with the idea, it is time to return to step 1. However, if it seems that your idea is unique, you are ready to move on to step 3! The next step to turning your idea into a product is more research. Rather than immediately patenting your idea, you should first attempt to do some market research and even begin creating a prototype. There are many reasons you should hold off on obtaining a patent. First and foremost, patents are expensive. They can cost you over $5,000 just in patent attorney fees! That may not be money you are ready to invest. In fact, the cost of a patent may even turn some inventors off of their idea entirely. Do not let this happen to you. Instead, complete research and trials to see how your invention can fit into the market. Find your target customers, analyze industry trends, and begin developing your invention idea. For example, the automotive industry has several requirements for safety that could impact your idea. This will allow you to make great strides in the invention process without costing you thousands. Once you have completed sufficient market research, you can then consider if your product is worth investing the money to patent it. 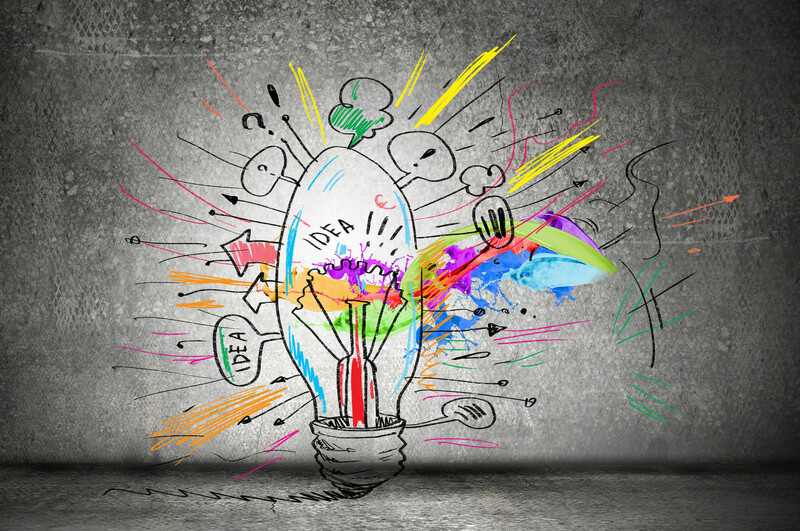 Once you have an idea, there are plenty of ways to spark the creation process. Some inventors will often license their ideas out to bigger companies in exchange for royalties. This means that the company will do all of the work developing, creating and selling the product, while the inventor gets to reap the benefits! Additionally, you could also begin developing the actual product yourself and start your own company. With hard work and determination you could see your very own creation take off! Whether you are trying to sell it to a company or a customer, it is important to remember to create a strong presentation. Once you have figured out and idea, you are going to want to patent it. The patents process is a length one, so the sooner you start it, the better. Knowing how to invent something is not about the idea generation process, it is about knowing how to patent an idea and profit off of it. Make sure you decide how you are going to make your invention idea a reality, then immediately begin filing patent paperwork. This way, you will never have to worry about someone stealing your invention idea. Once you have patented your new product idea, you have successfully invented something. Be sure to learn what a provisional patent is in the meantime. Now that you know how to invent something you can begin the brainstorming process. As long as you follow each of these steps, you should be able to invent something great while following a sound growth strategy. If you want to learn more about how to invent something, let us know in the comments down below.